This Matador red 1969 AMC Javelin SST Series 70 fastback 2 door hardtop is a mostly complete classic car ready to be restored. This is an original Montana car from Joliet MT. The Javelin hood badge is broken. The plastic grill insert is broken. Both lower headlight trim pieces are missing. There are some pulled out areas in the lower front bumper. The windshield is cracked. There is rust in both rockers in the tails and around the wheel wells and in the left rear corner of the deck lid. The rocker trim and left front fender SST badge are missing. The rear red plastic center panel and Javelin badge are damaged. The right lower edge of the rear splash panel is dented. The red and wood grain SST bucket seat interior is all there. The wood grain panels are cracked. The seats are in fairly good condition. 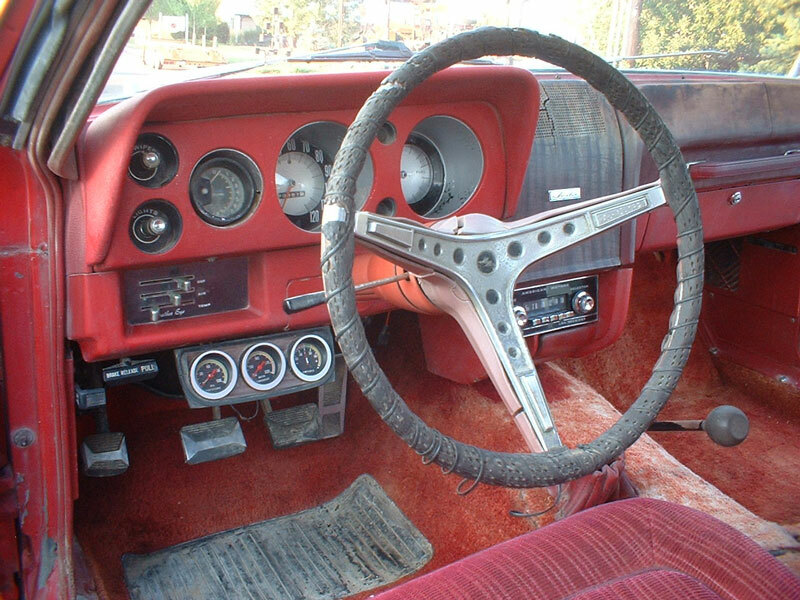 The dash with radio and gauges with original factory tachometer are all there. There are extra motor gauges under the left dash. The door panels are worn. The floors are solid. The trunk floor is solid except there is some rust in the left spare wheel well. The optional Javelin base 290 CID OHV 4V four barrel 225 HP V-8 motor and manual 3 speed floor shift transmission are all there. The coil and some of the spark plug wires are missing. The motor is stuck. 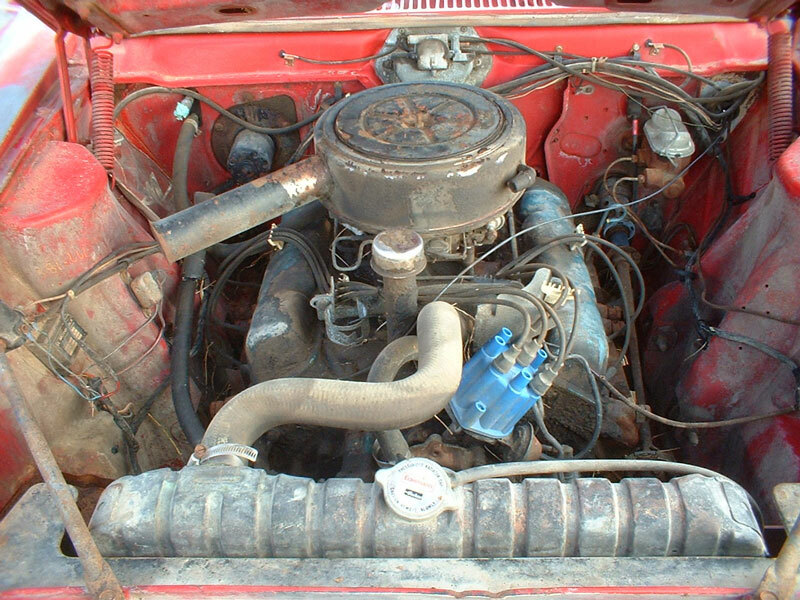 Don't miss this chance to restore or customize a desirable 69 Javelin SST. Please call (406) 318-0270 for details about this restorable classic 1969 AMC project car. For sale $3,500.